The Hi-Tech Robotic Systemz builds further on the POC..
Hi-Tech Robotics – is an automatic guided vehicles manufacturer based in Gurgaon, India. These AGVs find application in the manufacturing, industrial and defense sectors. 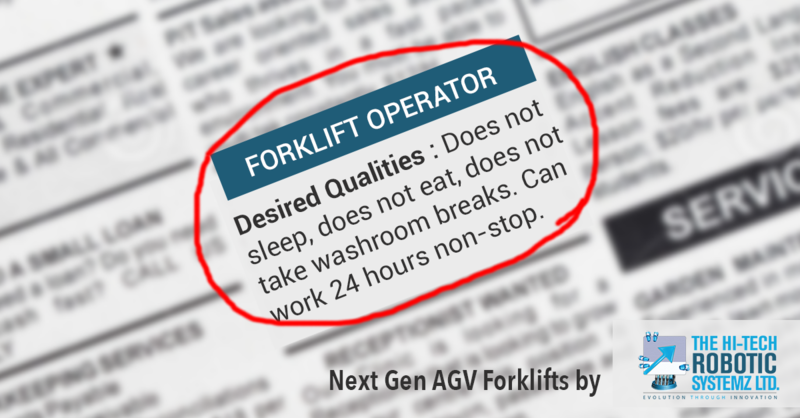 Why: As a part of a prospecting campaign, this creative was aimed to exhibit the perks of Next Generation AGV Forklifts by Hi-Tech Robotic Systemz Ltd.
What: The design was inspired by the “Job Posting” section of a newspaper. The idea was to create a “posting” which is proficient and unparalleled in the market. It offered a demo to intrigue the interest of Factory Heads to address their warehousing requirements. Why: This LinkedIn sponsored campaign was executed to represent a well-constructed positioning held by Hi-Tech Robotic Systemz Ltd in the market. What: The artwork illustrated the Hi-tech Robotic Systemz’s clientele of good repute who are happily reaping the benefits of their AGVs. It also aimed to compel Hi-Tech Robotic Systemz’s persona i.e., Factory Heads and Supply Chain Heads to join the league of successful clients. 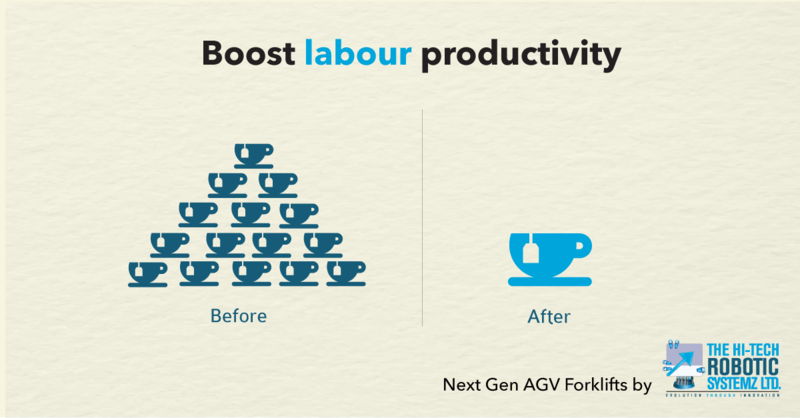 Why: In this prospecting “Boost Labour Productivity” creative, we visually tried to bring out the measure of output produced by Hi-Tech Robotic’s AGVs. What: The minimal creative artwork was simple and compelling which was in line with the message we tried to communicate through the creative: “Less is the new more”. 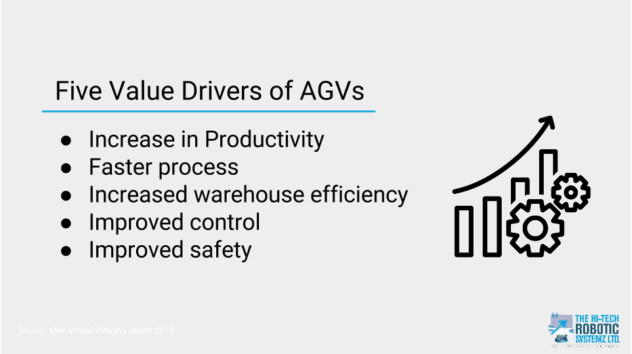 AGV is truly a bliss for Factory Heads, a true energy, time and capital saver for them! “Get a Demo” was the campaign’s call-to-action. 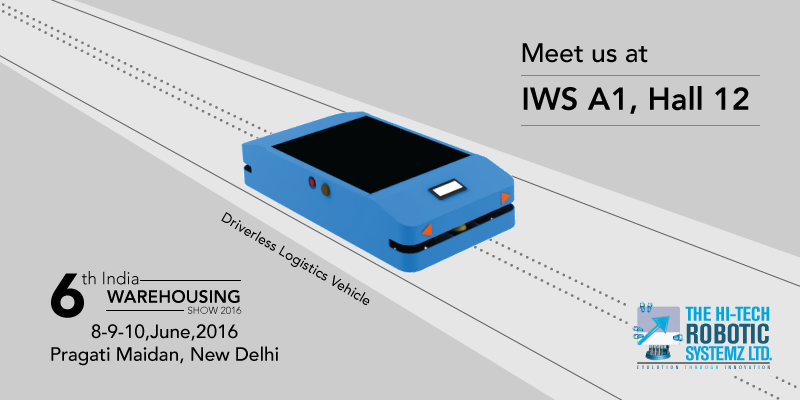 Why: Hi-Tech Robotic Systemz wanted to promote their “India Warehousing Show” held in New Delhi. Hence the artwork. 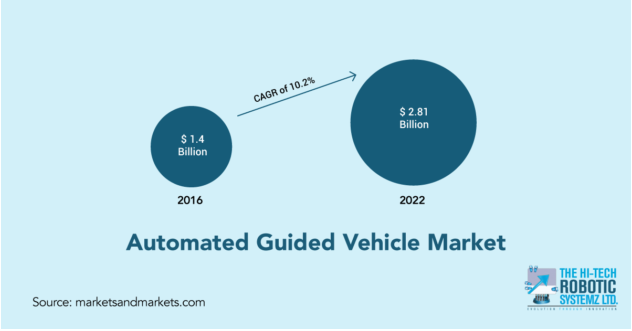 What: Through this campaign aimed at Supply Chain Heads and Factory Managers, Hi-Tech Robotic Systemz created a buzz about the launch of their new driverless logistics vehicle, namely, Novus Stacker, Novus Jack, and Novus Omnistore.